15 years since the tragic death of their newborn daughter, Anne and Graeme Dixon have welcomed an investigation into the care of babies who need extra support. A health watchdog has released the results of a national review into the care of newborns who need extra support, sparked by a Church Crookem couple who tragically lost their baby. 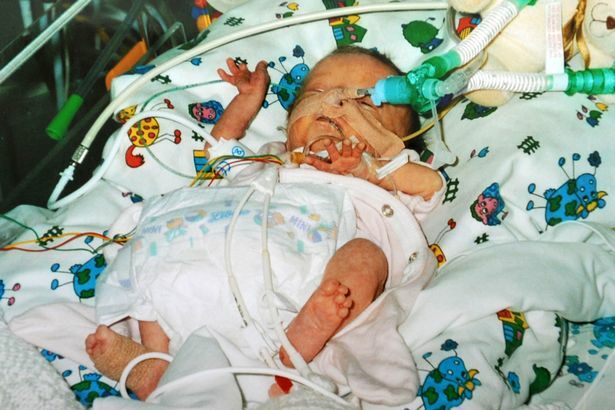 Anne and Graeme Dixon’s daughter Elizabeth was born at Frimley Park Hospital in 2000 and was brain damaged after her high blood pressure was not treated for 15 days. She was left disabled and needed a tracheostomy, or tube, to breathe, but suffocated and died at home days before her first birthday when it was not maintained during a home visit by an agency nurse who transpired to be newly-qualified. The Care Quality Commission (CQC) investigation found there is a significant risk to hundreds of babies and children because of inconsistent practice and a lack of clear guidance on treatment. The watchdog said it has uncovered concerns about the way the NHS identifies and manages clinical risk in unborn and newborn babies. In the first report of its kind, it also raises fears that key information might not be shared between clinical teams and says there needs to be more consistent support for families with children requiring long term ventilation at home. Among its recommendations for improvement, the CQC says every unborn fetus should be assigned a unique identification number to ensure important information from a mother’s clinical notes is properly transferred to the baby’s records after birth.